Giving food is the ultimate workaround for the people who have everything and the people for whom you just can’t seem to find the perfect whatever. 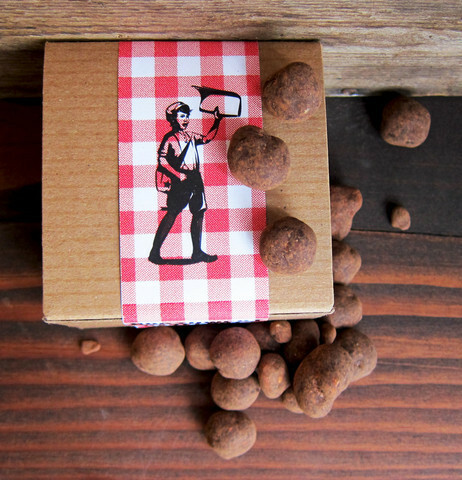 Flavor, labor, and consideration for your audience, plus a little thoughtful packaging elevate the utilitarian to a memorable gift that, due to its perishable nature, will likely not be regifted. So, fill your buddies’ bellies before their New Year’s diets kick in, and give them something yummy this year. Makers: Grandma Mimi’s Pecan Butterballs (see below). Nothing says “I’ll love you even if you’re fat” like a tin of homemade cookies. Stick with one type of cookie if you’re not into the whole ‘spice of life’ thing, or, if you’re planning on giving out multiple tins, make three or four different kinds of cookies, add some chocolate-covered pretzels, and you’ve yourself got a sampler. Buyers: Kyotofu Gluten-Free Shortbread Cookies Gift Box. 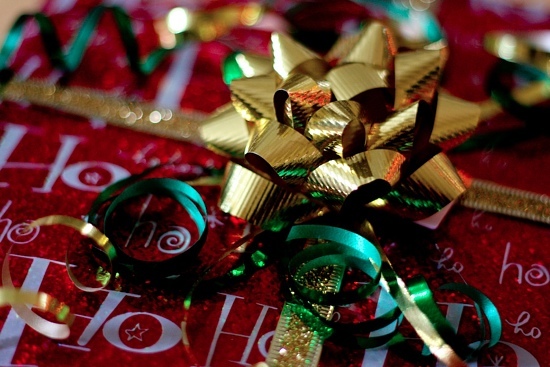 If your gift recipient is gluten-free, you might just want to buy instead of bake. Flour blends and other culinary wizardry make it possible for you to make your own g/f cookies, but if you’re baking in your own pro-gluten kitchen, how can you be totally sure you’re not going to cross-contaminate/poison your friends? Science is a cruel mistress. Leave it to the pros (Thomas Keller), and send your gluten-free bud this impressive box of sweetness. It’s gorgeous, unusual, and thoughtful without being dangerous! Makers: Pickled Romanesco. Romanesco is in season and abundant at the farmers’ market. Its alien-esque fractal-tude looks indisputably cool, and the dense texture, similar to cauliflower, works well when aggressively pickled. Buyers: Pickle-buyers, you’re in luck. It’s a golden age for picklers. 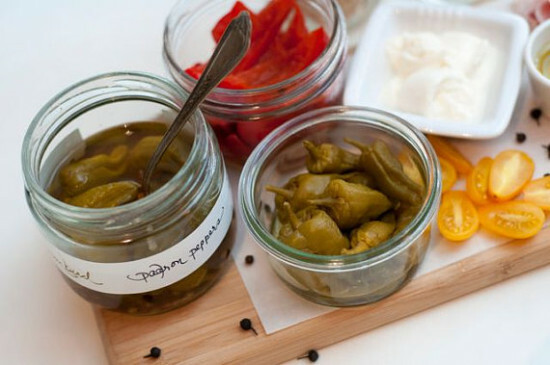 Lemon Bird Preserves will blow any pickle-lover’s mind right out of their head with Pickled Padron Peppers, Cocktail Tomatoes, and Leek & Fennel Pickles. We’ve also got two exceptional pickle producers right here in RVA. Pickled Silly’s Spicy Pickled Okra actually changed my life by being the first and only okra preparation I will tolerate, so that’s pretty huge. And Sweet, Sour, Salty, & Co. just came out with small batches of Pickled Vidalia Onions and Pickled Green Tomatoes that are going to be gone soon. Makers: Bread brings us all together. Bread is the ultimate symbol of the hearth, the home, and of comfort. Making a gift-worthy bread is a complex task. I learned everything I know about baking bread from Peter Reinhart, a true god of gluten. Even his simplest recipes require a high level of consideration and thoughtfulness, and giving a loaf of Peter’s Classic French Bread shows you’ve taken the time to make something perfect. Wrap it up in a bit of brown paper, and send it off with a nice cotton side towel and a cutting board. 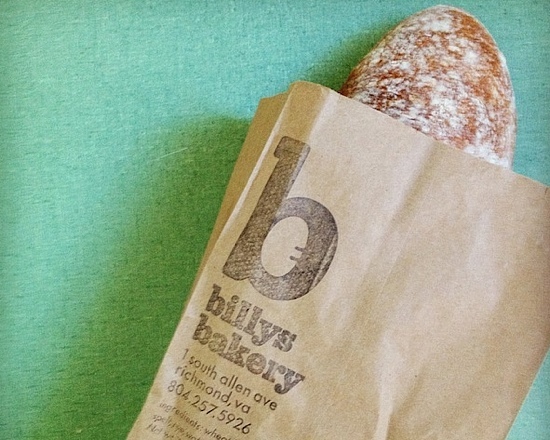 Buyers: You can replicate similar warm feeling without so much as opening a bag of flour by substituting a loaf of Billy Bread, Richmond’s 15-year-old institution. But be forewarned, this bread is not for people with weak inner mouth areas (like infants and the infirm.) It’s crusty to the point of potential danger…like bread should be. Makers: Homemade Beef Jerky. Not surprisingly, Alton Brown has a jerky recipe that uses air filters, bungee cords, and a box fan, so if your culinary tendencies skew more toward the Macgyver, this one’s all you. Pro-tip: Add a teaspoon of ground ginger. 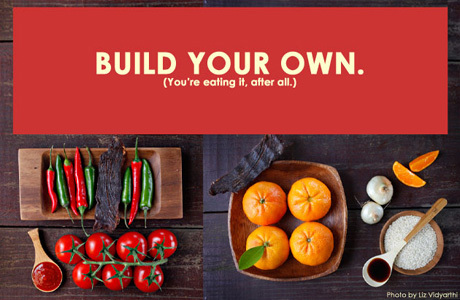 Buyers: Slantshack Jerky ‘Build Your Own’ Jerky. You’re in charge here because Slantshack brilliantly lets you build a jerky to your exact specifications. I used something called ‘math’ to determine that, with four different marinades, five rub options, and three glazes, you can potentially make 60 unique kinds of jerky. Go, Math! 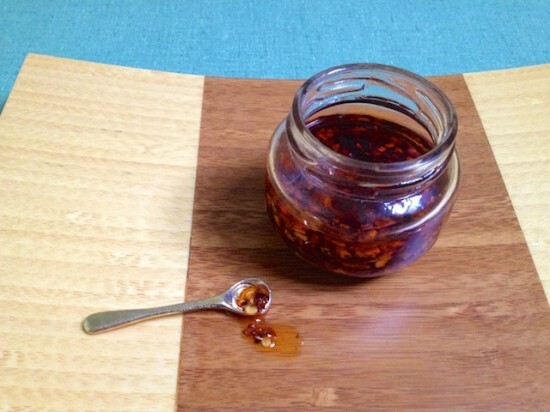 Makers: Szechuan Chili Oil (see below). The main skills required to make this spice-forward, life-enhancing condiment are heating and pouring. If you can do those things, you’re halfway to giving your buddies a jarfull of Peter-Changly magic that can transform food like leftover roast chicken or sliced cucumbers into hot and numbing masterpieces. Buyers: KimKim. If heating and pouring aren’t your thing, locally-made Korean hot sauce KimKim delivers on sesame flavor and balanced heat in a way that works equally well on a pizza, a taco, or breakfast…or even a breakfast taco pizza, which I now desperately want. Makers: Chocolate Pistachio Truffles. You are three ingredients away from looking like Jacques Torres without the outrageous accent! Make a whole sheet tray of them, and keep them in the freezer; then, use a Chinese take-out box and a little bit of parchment or wax paper for packaging, et voila…les truffes au chocolat! Hon, hon, hon! Makers: Chocolate Apricot Fruitcake. Fruitcake has got a pretty bad reputation, while fruit and cake are beloved by so many! Reclaim their glory with something that doesn’t so much resemble the bottom of a bus seat. Bonus: This cake has booze AND coffee in it. THATS SPEEDBALLING!!! Buyers: You know, Fruitcake. People have been giving it to each other for decades for some reason. This is more of a ‘joke’s on you’ gift. Seriously consider upgrading to the homemade stuff unless this is a blind secret santa scenario. Makers: Cranberry and Orange Granola – Making granola is so easy, your kids can totally help, and rightly so since this is the perfect gift for teachers, principals, bus drivers, crossing guards, and anyone else who has to start doing things at an unreasonably early time in the morning. You can find windowed, lined paper coffee bags at most craft stores. Have your kids decorate the bags while the granola cools (and you check your sites or whatever). The sealed bags keep for about two weeks. 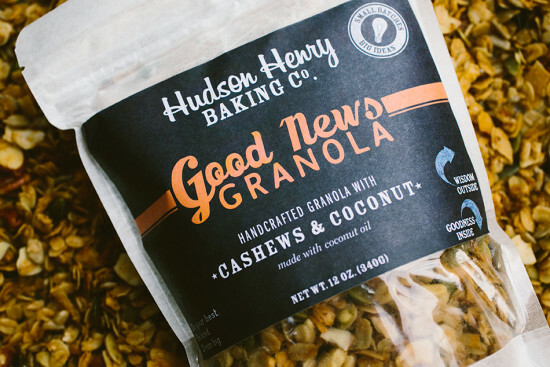 Buyers: Hudson Henry Baking Co. Good News Granola. Made just outside of Charlottesville, this granola comes in four flavors, including Cashew & Coconut and Maple & Walnut. You can pick some up at Little House Green Grocery or buy it online, and you should probably get some for yourself, because once you’ve tried it, it’s game over man. Makers: Fish Sauce Pecans (see below). This recipe comes from the crazy-brilliant mind of Bird Cox, and once you discover how easy it is to make them, you’ll be making batches left and right, giving them to the mail carrier, random neighbors, even strangers. Slightly sweet with a salty note, not too fish-saucy but definitely savory, these are a surprising and unique gift befitting a person of similar character. Buyers: Reginald’s Homemade Reggie’s 10. Andrew Broocker, owner of Reginald’s Homemade lost 150 pounds, and I don’t mean to oversimplify here, but he used peanut butter to do it.1 Now he’s Richmond’s peanut butter don, and his 10-peanut-butter sampler includes flavors like White Chocolate Macadamia, Nana Honey, and Double Chocolate Chunk in small jars, perfect for enjoying in moderation. Makers: Treat-of-the-Month Club. This, obviously, is for people with Ryn Bruce -level commitment and 12 recipes to share with someone very dear. Start with a homerun right outta the gate (like your famous Snickerdoodles,) and include a handwritten card with previews of what’s to come. Then set a reminder for yourself to keep the game going 11 more times. By November of 2014, this person will be YOURS, YOURS I TELL YOU! Buyers: Mouth.com Snacks Every Month. Ideal for the serial nosher, this gift subscription is available in three, six, nine months, or a whole darn year and comes with a subscription to Edible Magazine to enjoy between stuffing your face with crispy, pickly, savory, chocolately alchemy. Preheat oven to 350 degrees. Prepare a sheet tray with parchment paper and pan spray. Cream the butter and sugar until light and fluffy. Add remaining ingredients and mix until incorporated. Roll into balls approximately 2 inches in diameter and place on the sheet tray roughly 2 inches apart. Bake for approximately 15 minutes. Remove from sheet tray and roll in powdered sugar while cookies are still warm. Return to sheet tray and let cool on a cooling rack. 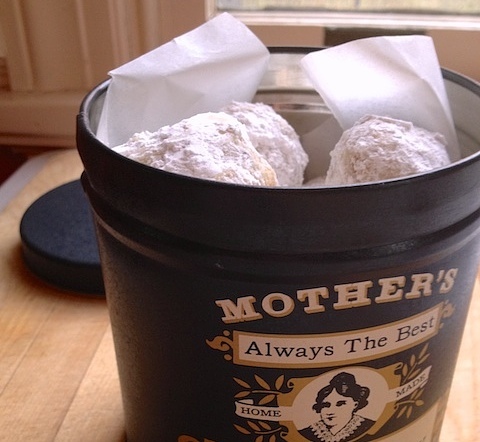 When cookies are cooled completely, roll in powdered sugar again. Prepare a 1-quart jar with the chilis and peppercorns. Heat vegetable oil over medium-high heat to 180 degrees. Carefully pour over chilis and peppercorns. Add sesame oil. Allow to cool before sealing with a lid. Store for about a month in a cool, dark pantry. Preheat the oven to 250 degrees. Prepare a sheet tray with parchment paper and pan spray. Whisk the egg white vigorously with the sugar until it begins to thicken. Add the fish sauce, and whisk to combine. The mixture should be fairly thick. Toss the pecans in the egg white mixture, and spread them evenly over the prepared sheet tray. Bake for about an hour, turning halfway through. Allow to cool on a wire rack and transfer to the airtight container of your choosing.